It’s strange how girls can get so attached to their bags. You get a shiny new handbag and after carrying it every day for a few months, you find it being shoved further and further into the sad, uncherished depths of your wardrobe. Maybe your tastes have changed since buying the bag, or maybe it doesn’t go with the trends currently dominating the fashion world. Whatever the reason, it’s still a shame that a once-coveted bag is now just taking up precious real estate in our ever-expanding wardrobes. I love bags. There's no denying it. As such, it pains me whenever I think of those neglected bags sitting pretty around my house rather than doing what they were created for – to elevate a look, complement an outfit, and most importantly, serve as a functional item that carries all your belongings. To me, a bag signals the personality of her owner. Personally, I go for classic styles that won’t look out of place be it at a gala or a casual date with your girlfriends to throng the malls. It is these IT bags that are the epitome of design and function and have proven relevant even with the onslaught of trendy new bags hitting the market every season. Here’s a quick rundown of 5 IT bags that have proven to be the holy grail of fashion. Enjoy my fashion illustrations! Its understated look is still as refreshing today as it was when it was launched in the 1930s. Renamed after a lifelong fan of the bag, the classically beautiful Grace Kelly, this bag just makes her owner feel like a modern, affluent and fashion-forward lady. This bag is closely associated with the late Princess Diana and her elegant sense of style. 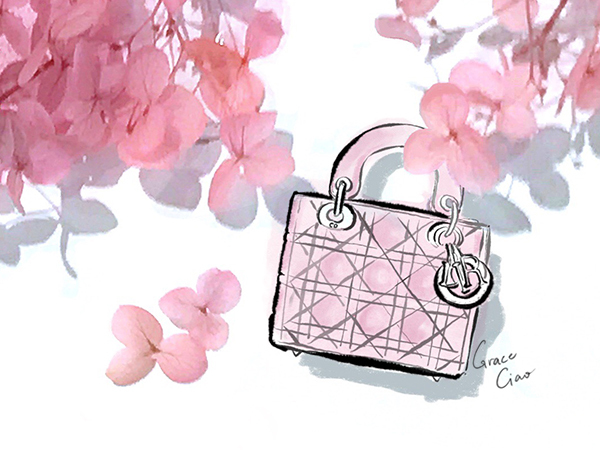 It’s iconic quilted box shaped with playful charms are available in new colours and fabrics every season. I dare you to not feel like a classy empowered woman when you have a Lady Dior in hand. Not only was Mademoiselle’s original design an instant iconic hit, Karl Lagerfeld’s reissue also proved to be immensely popular. Owning a 2.55 is probably as close as we can get to the essence of Coco Chanel herself. 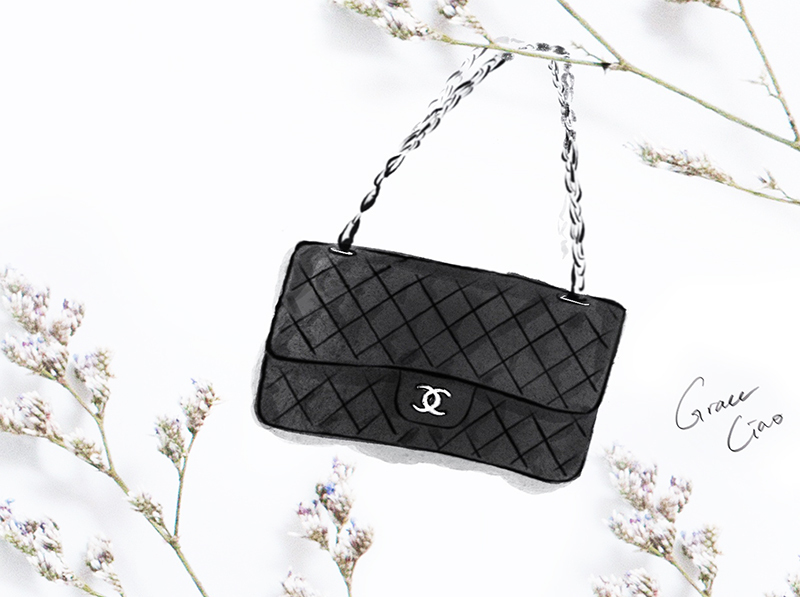 Illustrated here is the classic flap bag in medium. The queen of all classic IT bags. 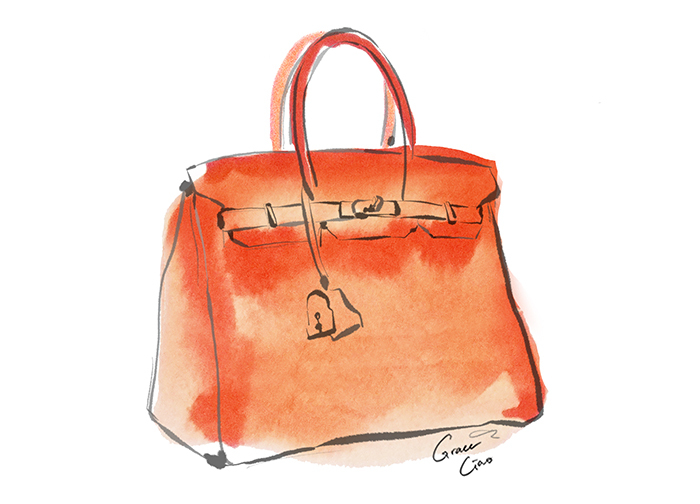 Who hasn’t heard of the Birkin? 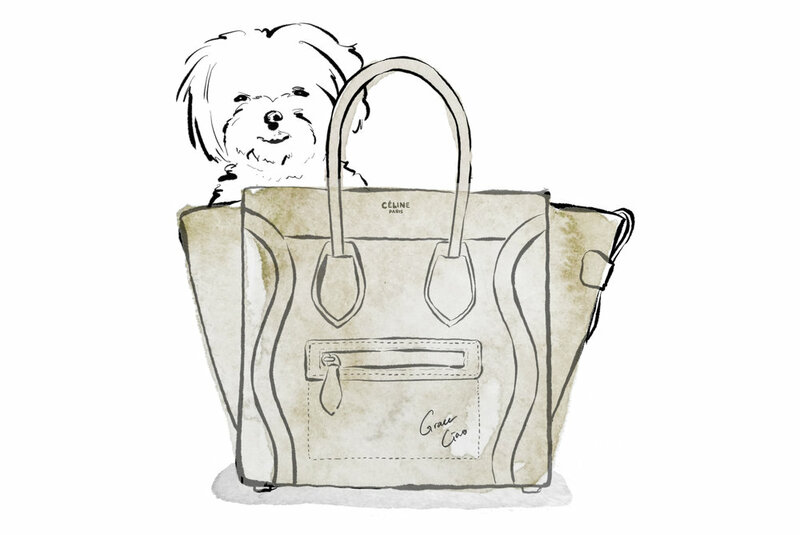 Not only is it coveted for being the “perfect carryall”, this bag also has an extremely enviable resale value. In short, this is every girl’s best (armcandy) friend. Another hit from the amazing ‘30s, this functional bag is roomy and fun at the same time. Loved then by Audrey Hepburn and now by Sarah Jessica Parker, the iconic shape of the Speedy has stood the test of time and is coveted across generations. I know, I know, even new bags that haven’t proven to be IT bags can be so delightful and pretty that you just want to own one! And why shouldn’t you? Seeing the same bags over and over again (however classic their designs are) can get a little boring after all. It’s not like only IT bags are justified to make us part with our money (proud owner of five Celine Luggage-s here! This bag didn’t even make my list!). Most importantly, your purchase should make you happy and showcase your personal style. I loved creating all these fashion illustrations! Let me know in the comments what your favourite bag is, and which new generation bags you think will make it on future IT bag lists! Think Your Daily Makeup Look Is Getting Too Boring? Here's How To Fix It.